We offer complete computer support and technology-based services to keep you on top of your game and create new opportunities for you and your business. Now you can say you have an “IT guy”! We provide a wide range of services to help the everyday computer user. 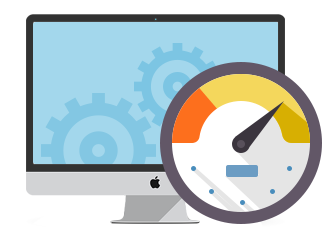 Virus removal, hardware repairs and remote support are just a few of the many services we provide. Providing companies with the benefits of an in house IT department for a fraction of the cost. We have customizable Managed IT packages to fit the needs of your business. From workstation back ups to server maintenance Adam D Technology has your back. Everyone needs a website nowadays and Adam D Technology is here to help. Let us build you a website that fits the needs of your business and provides your clients with the most up to date information about your company. As a business owner you probably handle your IT one of two ways: When tech trouble strikes, you spend your own time tinkering with the problem until you either fix it or give up because you don’t know what you’re doing. Save the hassle and call Adam D Technology. Check out our guide on building the best business computer system! It comes with tips on how to increase productivity, save money on your computer build all while backing up and securing your files. We have been helping businesses optimize and protect their workflow for years.